There is a real intellectual edge to the Gourds. What do you read when you’re on the road, or at home? The classics of course, Homer’s “Odyssey,” Socrates, Buddha, Confucius and Jesus, James Joyce, Burroughs, Neruda, Robert Anton Wilson, Kurt Vonnegut, Hemingway, James Hillman, Joe Campbell. That’s just me. The other guys have their faves as well. Illuminatus Trilogy by Robert Anton Wilson and Robert Shea: This has trained me to watch for the fives. 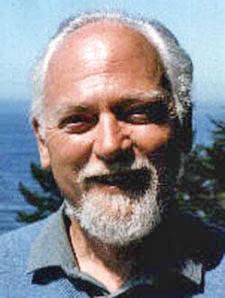 Robert Anton Wilson is a majestic vigilante hero of Truth. It should be noted that TSA has re-run my copy of this book through the X-ray machine multiple times. What to name after RAW? Do you wish you lived in California? What to think of Ron Paul?